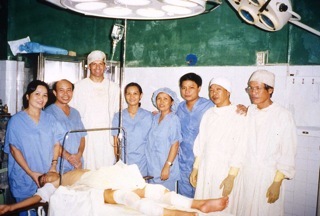 "Many surgeons from New Zealand have visited Quy Nhon over this period, mainly to work alongside local surgeons to provide advice and support. Activities have included courses on fracture management encompassing lectures and practical workshop sessions, teaching and instruction on surgery for children with disability, and more recently, arthroscopic knee surgery and hip and knee replacement surgery." 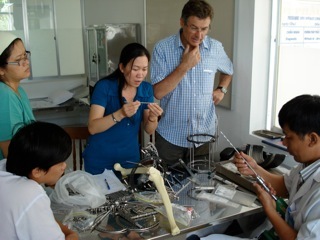 The orthopaedic programme in Quy Nhon, Binh Dinh Province has been active for twenty years. Advances over the past twenty years have been staggering. The main hospitals in Quy Nhon have been rebuilt or in the case of Quy Hoa Hospital, a completely new hospital has been built. 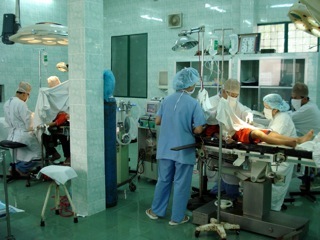 Modern equipment has become available, although still limited, staff training has progressed and surgery has moved from fairly basic to very advanced procedures. 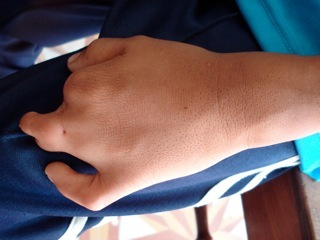 Much of the focus in recent years has been on the Rehabilitation Hospital and the Quy Hoa National Leprosy Dermatology Hospital. 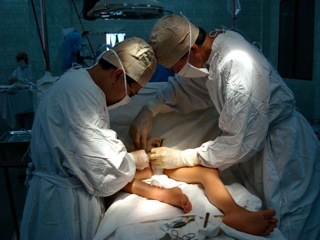 The Rehabilitation Hospital provides purely orthopaedic surgery, including performing the majority of paediatric orthopaedic surgery for much of Viet Nam outside the two main cities of Ha Noi and Ho Chi Minh City. 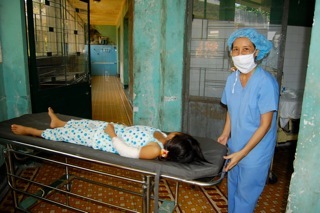 Patients come from many provinces surrounding Binh Dinh. 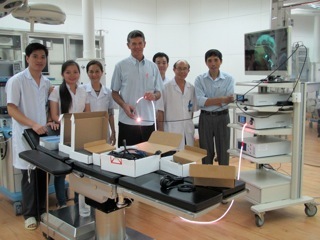 Similarly, Quy Hoa Hospital is a regional hub drawing patients from a large part of Viet Nam. The new hospital addition to Quy Hoa now offers wide ranging care in many specialties other than leprosy and has a vibrant orthopaedic department providing orthopaedic care to the general population. Strong links have been established between the Health Trust staff and the staff of these hospitals. Many of the Vietnamese surgeons have made educational visits to New Zealand as a means for providing a vision for the future in their own hospital and a stimulus for ongoing development. Input from physiotherapists and anaesthetists has been incorporated with the most recent exchanges. Future plans include continued help with and advancement of perioperative care and anaesthesia, post-operative rehabilitation, surgery for disabled children, arthroscopic and joint replacement surgery and trauma care in the smaller provincial hospitals outside Quy Nhon.